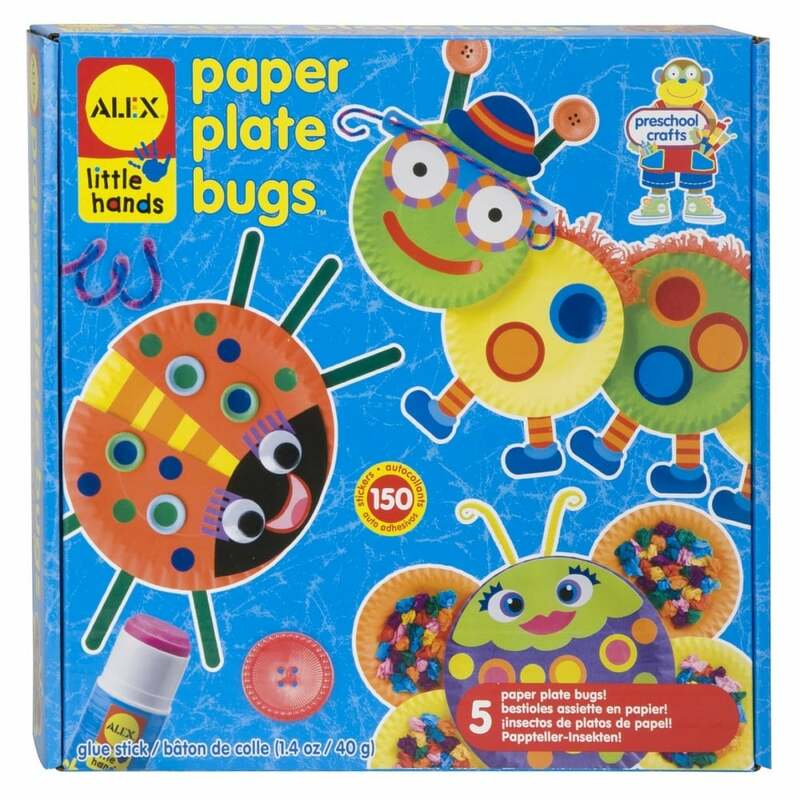 Turn a colourful paper plate into a funny looking buggy! pre-school children will love to layer the cut-outs onto the plate, peel the stickers and paste them on to create lots of fun and whimsical creations. Make a friendly ladybug, a colourful caterpillar, a buzzy bee and more! The kit includes lots of stickers, googly eyes, pipe cleaners, popsicle sticks, pom poms, paper punch-outs, a chunky glue stick and easy picture instructions. Each project comes individually wrapped and ready to begin when you open the box and make 5 different Bugs.